Welcome to the Southwest Regional Education Cooperative website. 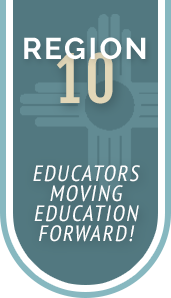 Collaborating with businesses, southern New Mexico school districts, and state and federal government agencies, we provide cost-effective education and support services for our member districts. We serve the school districts of Animas, Cobre, Deming, Hatch Valley, Lordsburg, Reserve, Silver City, and Truth or Consequences. We invite you to browse our website to learn more about who we are, what we do, and how we can help you effectively fulfill your school’s mission. The Southwest Regional Education Cooperative and its member districts are educational partners who inspire and develop people who will collaborate and create the conditions for students to receive an excellent education..
Southwest Southwest Regional Education Cooperative is currently seeing proposals for technology hardware, software, and IT Support. Please visit our Calendar page for a complete list of events.